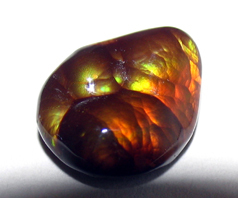 Arizona Fire Agate hand picked from large parcels with All That Glitters getting FIRST pick! 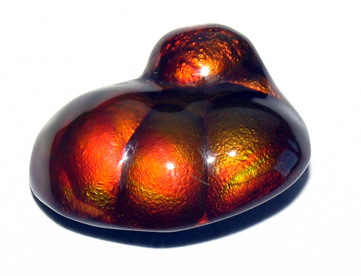 This material is getting harder and harder to find and prices for even the lower end material has increased. 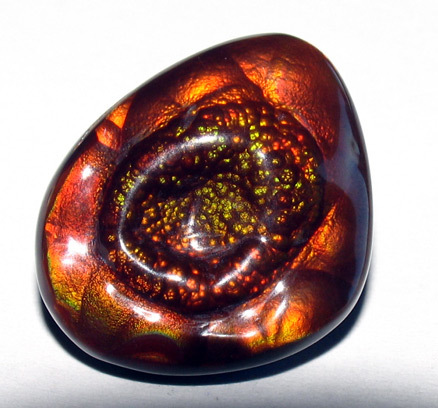 We have the best of the best with many being truly one-of-a-kind. 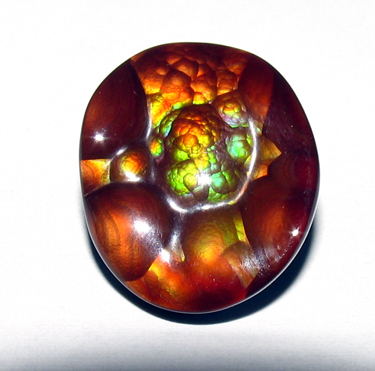 To read more about Arizona Fire Agate, you can read the following trade article from 1993 - and note the prices! 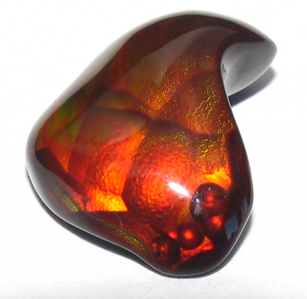 The pieces seen below are very fine examples and rare one-of-a-kind pieces. 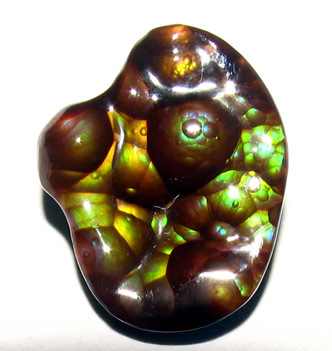 They therefore should exceed the prices shown in the article, and the article is now 20 years old! 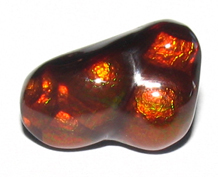 Wholesale back then for fine unique specimens was $200/ct and more. 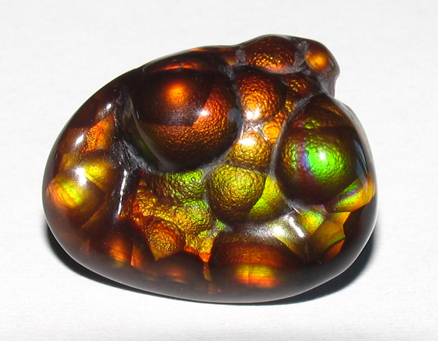 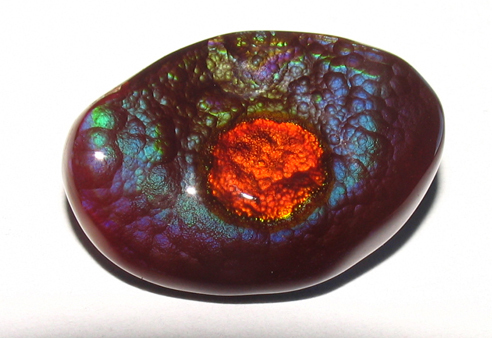 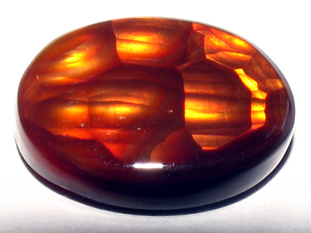 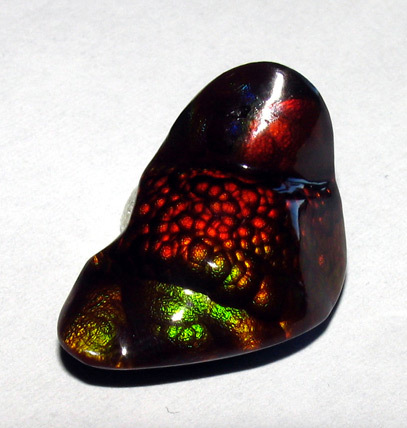 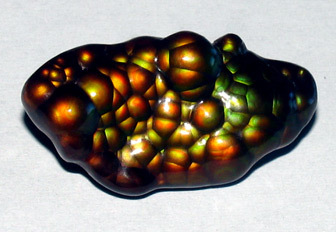 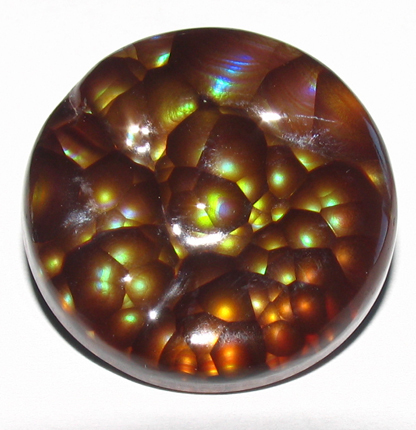 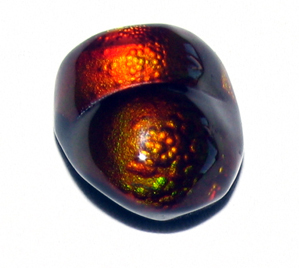 Note that the Mexican Fire Agate is frequently seen for sale. 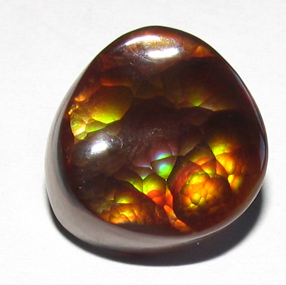 It tends to be a lower quality, though there are some fine examples. 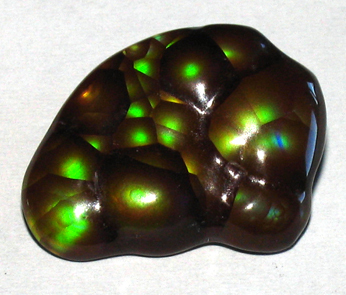 The Arizona material is far more scarce and sought after by connoisseurs and collectors.